The family that plays together, has fun together, and at Batu Batu, there are infinite ways for families to connect with nature and each other. Play Robinson Crusoe, kayak around the island, and discover remote coves and beaches. Spend hours by the water’s edge making sandcastles, stopping to catch sight of a reef shark in the sea. Or dive into the calm waters where colourful fish are plentiful. 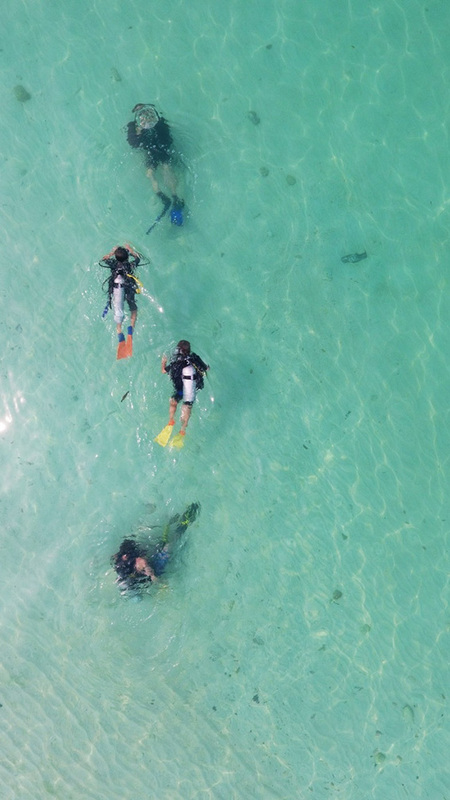 Children and adults alike can snorkel the coral reef right off the island’s shores and young ones as little as five years old can have a first taste of scuba with the Supplied Air Snorkelling programme. 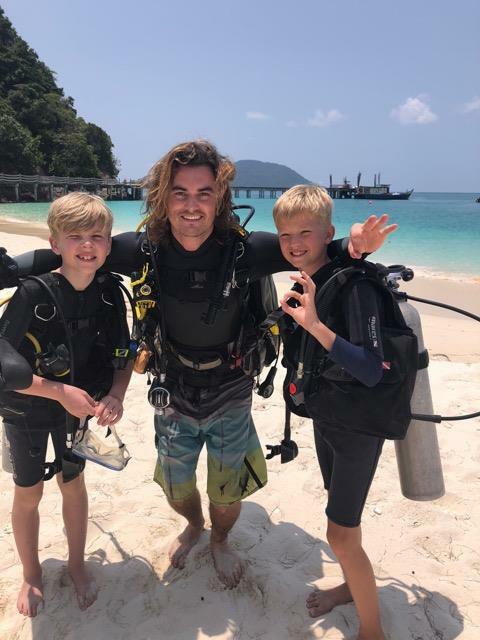 Families with older children can also get scuba-certified together at the dive centre on the island. Back on dry land, kids can play king of the forest and embark on a family hike through the jungle, suitable even for young scramblers. The resort’s resident marine biologists hold nature talks to reveal the secrets of sharks and turtles. Guests can also tour the turtle hatchery, where families can also adopt turtle nests. During the right time of year, guests might just have the opportunity to see turtles hatching and being released. A weekly beach clean-up is the perfect opportunity for all members of the family to learn first-hand about the human impact on the ocean. At the end of a full day of exploring, a movie shown in the Playhouse allows kids to get in touch with their tribe and enjoy some downtime while the adults have a delicious dinner nearby. Please let us know if you require any of these items in your villa when you make your reservation. The children’s annexes are very small side rooms (2m x 2m) attached to the main bedroom of the Beach Villas and some of the Ocean and Jungle Villas. Please note that these currently contain a bunk bed only and a cot can just be squeezed in alongside the bunks if requested. Our Beach Villas and Two-bedroom Poolside Villas are most suited to families with young children being closest to the ground and to the main facilities (Restaurant, Pool). Some Ocean and Jungle Villas have a large number of steps leading-up to them or may be located further away from the Restaurant and Pool which makes them less suited to families with younger children or guests who are less mobile. Please note that our island is both wild and natural with jungle at its interior. This does mean that whilst we regularly treat our beaches for sand flies and the island for mosquitoes, there is still a chance that children (and adults) may be bitten by insects over the course of your stay on the island. We provide mosquito nets, mosquito coils (burn and electric) as well as mosquito repellent in the restaurant and bar areas to limit this as much as possible. However, you may also want to bring your own insect repellent and bite creams. From time-to-time we do have jelly fish and sea lice in the waters and these can irritate sensitive skin leaving a rash.